December 19th marked the semi-annual reconstitution and rebalance of the Cancer Immunotherapy ETF’s (Nasdaq: CNCR) underlying index. This happens in two steps. First, a committee of advisors that oversees the index gets together and determines the reconstitution, which means they decide if any new companies should be added. Second, once the index’s 30 holdings have been finalized, a rebalance occurs and each company is given equal weight. CNCR ETF then places trades to replicate those changes as closely as possible. For the December meeting, the committee has added three new immunotherapy companies to the index. 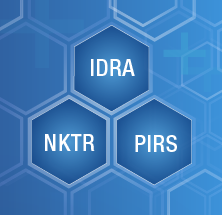 They are Idera Pharmaceuticals (Nasdaq: IDRA), Nektar Therapeutics (Nasdaq: NKTR), and Pieris Pharmaceuticals (Nasdaq: PIRS). These companies all bring compelling approaches to cancer immunotherapy and have clinical trials underway that we hope will lead to important advances for patients. To help the fund’s investors and followers learn more about these additions, we have provided a brief background on their work and what sets them apart. The CNCR ETF is thrilled to welcome each of these companies to the fund. The use of PD-1 inhibitor immunotherapy drugs like Merck’s Keytruda and Bristol-Myers Squibb’s Opdivo has revolutionized the treatment of many different types of cancer already. For example, Merck presented data in 2016 showing that the three-year survival rate for advanced melanoma patients taking its drug Keytruda was over 40%. This compares to a traditional three-year survival rates of 10%-20% for standard chemotherapy medicines. These are very advanced patients who have run out of treatment options and by over doubling this number, the PD-1’s have changed melanoma in a meaningful way. One question that follows this PD-1 revolution is what can be done for patients who no longer respond to those drugs? This is what we call “PD-1 refractory” status and companies like Idera are on the job. Idera’s lead drug IMO-2125 seeks to stimulate toll-like receptor 9 (TLR9), a cellular component that is inside a type of immune cell called plasmacytoid dendritic cells (PDCs). These PDCs often are found in tumors, and the idea is that by stimulating their TLR9, the cells will then create Interferon-α to attract a host of other immune cells to the area such as cytotoxic T-cells and kill the tumor. Idera recently presented some data for IMO-2125 in combination with another immunotherapy drug ipilimumab for “PD-1 refractory” status melanoma patients at a big cancer research meeting in September called ESMO. Confirmed responses (tumor shrinkages) were observed in 44% (4/9) patients and one patient experienced a durable complete response, which means an absence of all cancer after treatment. Overall, 67% of patients experienced disease control, which means their cancer at least stayed stable. Considering that these patients are refractory, or unresponsive, to PD-1 treatments, those are encouraging outcomes. The next step for Idera is that they are already planning to begin a phase 3 study for the drug in PD-1 refractory melanoma patients in the first quarter of next year. This illustrates how quickly drug development is progressing lately. Idera will go from treating just a handful of patients to starting a final-stage study in approximately two years. At the end of November, FDA granted fast-track designation for this program, which is designed to expedite the development and review process for drugs that have the potential to address unmet medical needs. We wish them the best of luck as the trial gets underway. Nektar has a few cancer immunotherapy assets in its pipeline (NKTR-214, NKTR-255, NKTR-262), but the one receiving all the attention right now is NKTR-214. The idea behind this drug is to stimulate the proliferation of T-cells and natural killer (NK) cells so that more of them can participate in an immune response against tumors. The drug does this by latching onto CD122 on the surface of those cells, a signaling receptor that causes them to replicate. One of the exciting things about this concept is how it might be used to “turn cold tumors hot.” In other words, immunotherapies like PD-1 inhibitors will not work in some cases because there are not enough attack cells in the area of a tumor to benefit from them. NKTR-214 is designed to change that. The result is that a recommended dose for the phase 2 portion of the study has been established and the combo is now being tested in over 10 patient populations in melanoma, renal cell carcinoma, non-small cell lung cancer, bladder, and triple-negative breast cancer. Nektar and Bristol are sharing equally the costs of the trial yet Nektar still retains global commercial rights to NKTR-214. The promise and potential utility of the drug is clear from those generous deal terms. It has the potential to open up the use of Opdivo to a much wider patient population by increasing the presence of those T and NK cells. That would not only be a good thing for Bristol if it works, but the whole PD-1 immunotherapy field. We will be very interested to see how the trial progresses in 2018. Pieris has focused its cancer immunotherapy research on harnessing anticalin technology. Anticalins are engineered lipocalins, low molecular weight proteins found naturally in the body that bind to various molecules. They are approximately eight times smaller than a traditional monoclonal antibody. Some of the benefits of using them is that lipocalins are endogenous (natural to the body), they bond to targets strongly due to their high affinity and specificity, and they are monovalent so there is no unwanted extra binding that would be counter-productive to therapy. Furthermore, Anticalins can be manufactured consistently and at a low relative cost due to the way they are produced using bacteria. One of the most impressive things about Pieris has been the quality of industry partnerships it has been able to forge even before starting clinical trials for cancer. In late 2015, they signed a partnership with Roche to discover anticalins against an undisclosed cancer immunotherapy target. Roche paid them $6.4 million at the time of signing the deal, other milestone payments can add up to over $400 million, and they are also eligible to receive standard commercial royalty payments. Following that, Pieris signed another deal with the French company Servier to develop up to five bispecific candidates in immunotherapy. A bispecific is an antibody that links to two targets, typically one on an immune cell and one on a tumor. Pieris received $31.3 million upfront for that deal, potentially $200M-$300M more in success payments for each candidate, as well as double-digit commercial royalties. In addition to those programs with Roche and Servier, Pieris also has other wholly owned programs that it is advancing. In fact, one of them just entered clinical trials for the first time in October. PRS-343 is a bispecific anticalin that targets 4-1BB on immune cells and HER2 on cancer cells. 4-1BB is a costimulatory domain and the drug is meant to act as an agonist to that when it is in the presence of HER2 expressing cancer cells. In layman’s terms, that means it is designed to set off a T-cell response but only in the microenvironment of the tumor. This means that it might be safer than other standard immunotherapy drugs that sometimes have a more systemic effect throughout the entire body. HER2 can be found on tumors like breast, bladder, and gastroesophageal cancer. We look forward to seeing some initial data from this next year. Thanks, as always, for your interest in the field of immunotherapy and support of the Cancer Immunotherapy ETF. We are excited to have these three new companies in our fund and wish them the best as they work to make a difference for patients. Opinions expressed are those of the author or Funds and are subject to change, are not intended to be a forecast of future events, a guarantee of future results, nor investment advice. Fund holdings and allocations are subject to change at any time and should not be considered a recommendation to buy or sell any security. Roche and Servier are not holdings of the Fund or affiliated with the Fund.